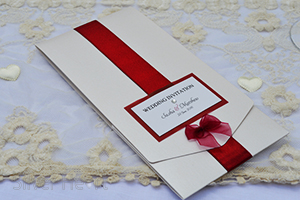 Long Pocketfold invitation designs. 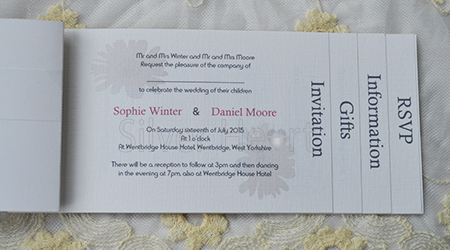 The invitations open up to reveal multiple inserts with all the information needed by guests. Inserts include: Invitation, RSVP, Accomodation, Directions, Menu. Huddersfield, West Yorkshire, Yorkshire, Leeds, Wakefield, Holmfirth. 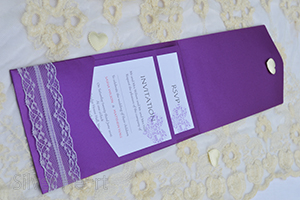 Our Long Pocketfold invitations are luxurious and make a real statement. 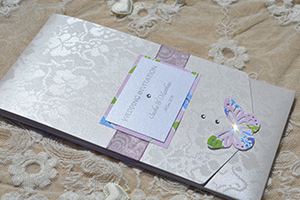 They are made from top quality card stock in a variety of finishes from broderie to pearlescent. Colour schemes, as ever, are flexible in most of the designs and the accessories set off the front of these cards beautifully. 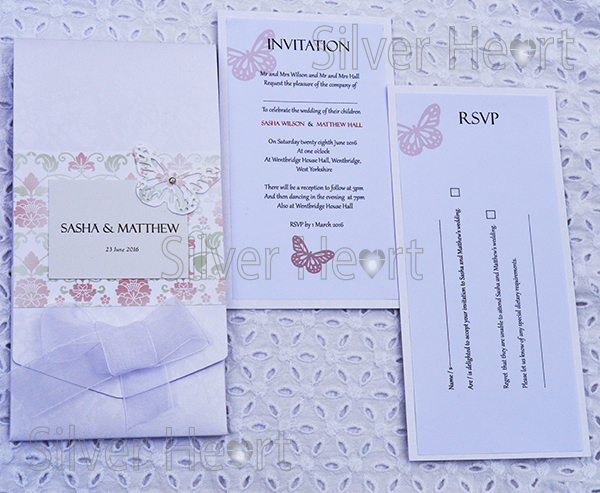 Our Long Pocketfold invitations come with two standard inserts: INVITATION and RSVP. However you can have up to four inserts, depending on your budget. 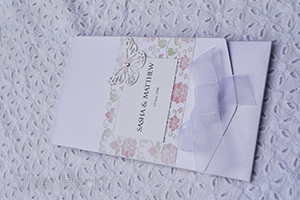 Other optional inserts include: INFORMATION, GIFTS, MENU, and ACCOMODATION. 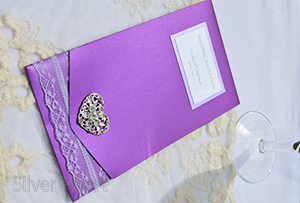 The Long Pocketfold invitation (like the Cheque Book and Square Pocketfold), will hold most of your wedding stationery together, in this case in a DL shaped pocket wallet.This makes it easy for your guests to understand how your wedding day is planned, what to buy you, where to stay, and even how to get to your venue. We also do Save the Date,, Evening Invitations, Order of Service/Day, Menus, Place Names, Table Names, Thank You cardsand Table Plans. 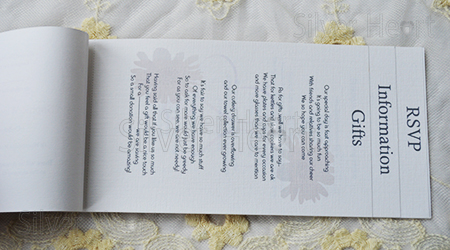 This insert informs your guests about the timings and location of your wedding. This insert is always included. This of course ensures you know exactly how many guests are coming to your wedding and special dietary requirements.